Back pain may be caused by a variety of conditions. The most common condition is a subluxation, which is a misalignment of your spine. When the vertebrae becomes subluxated it will pinch the nerve and cause pain, inflammation, and muscle spasm. 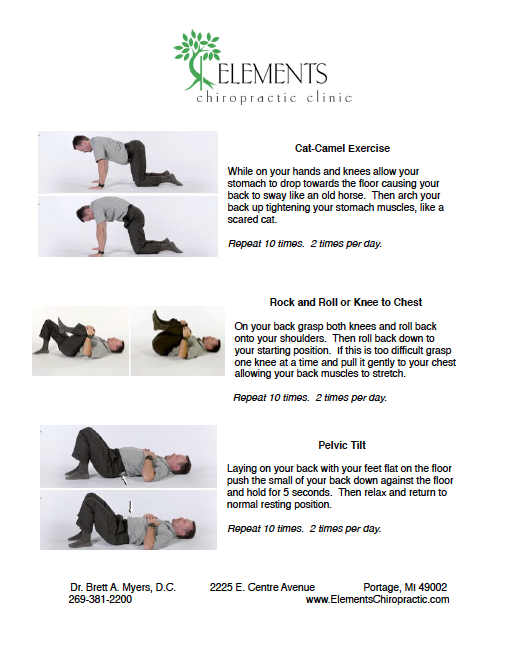 Studies have shown that on average 70% of people will have back pain in their lifetime. http://www.who.int/medicines/areas/priority_medicines/Ch6_24LBP.pdf (study link). Back pain can be be attributed to over exertion, stress, bad posture, and something as simple as coughing or sneezing. All of these activities can cause subluxations which result in back pain and muscle spasms. Chiropractic adjustments correct the misalignment in your spine with a gentle, safe, and drug free treatment. Neck pain is more common in our society with the increased use of phones, computers, and tablets. Sitting at a desk for extended periods, looking down at your phone to text, or sitting in bed reading your tablet all put strain on your neck. This activity creates a condition called “text neck.” Correcting your posture while participating in these activities is the first step to preventing neck pain. Chiropractic adjustments will remove the subluxations, or misalignments, in your cervical spine and alleviate the pain and muscle tension. The cervical spine is also very susceptible to degenerative changes. It is very common for a patient to develop osteoarthritis in his or her neck. Adjustments can help slow the progression of arthritis and alleviate the pain associated with the inflammation in the joints. Headaches are often caused by a subluxation, or misalignment, of the upper cervical spine. The cervical spine represents the area just below the base of your skull. When these bones become rotated they will put pressure on the nerves and cause headaches, inflammation, and muscle spasms. Chiropractic care can help alleviate headaches with either manual or instrument adjustments. There are a variety of different types of headaches. Tension headaches often feel like a tight band around your head, usually around the temple region. This is the most common type of headache. This is typically caused by repetitive stress and strain. Migraine headaches may cause intense sharp pain. This intense pain may feel like throbbing and may include other symptoms such as nausea, vomiting, and sensitivity to light and sound. Migraines may cause pain that continues for several hours or even days. Some migraines are accompanied by an aura. An aura is a sensation of flashing light, funny smell or taste, and even arm tingling. A migraine headache is believed to be caused by a lack of blood flow to the brain causing a hypoxic condition, or lack of oxygen. Chiropractic adjustments can help migraine headaches by decreasing the muscle spasms in the cervical spine and allowing the proper blood flow by decreasing the pressure on the nerves of the upper cervical spine. Sinus headaches are the result of increased pressure in the sinus cavities. Sinus cavities are located in your frontal and maxillary bones, immediately behind your nose and above your eyes. Logically, the pressure and pain often start there and then radiate to the temples. Upper cervical adjustments can help with sinus drainage and decrease the pain and pressure associated with this type of headache. Arm pain can involve the wrist, elbow, shoulder, trapezius muscles, and even the neck. The nerves that control your arm originate in your lower neck and upper back, also known as your brachial plexus. These nerves can become impinged in your neck or upper back by stress, strain, overuse, over exertion, and/or trauma. The pain can also originate from your shoulder joint, or glenohumeral joint, your elbow, or your wrist. The most common presented conditions are rotator cuff injuries, tennis elbow, and carpal tunnel syndrome. Chiropractors work with extremities also. Chiropractic adjustments can be performed on any joint in the human body. Adjustments to the wrist, elbow, and shoulder joints can correct misalignments and decrease the pain. Leg pain can present as pain in the thighs, calves, feet, ankles, and knees. This pain can be caused by the nerves that originate in your lower back, known as the lumbar and sacral plexi. These nerves can be pinched and/or irritated by misalignments in your lumbar spine and also in your pelvis. Knee pain may be associated with a misalignment of your pelvis which causes you to compensate with one leg creating an altered and uneven gait when walking. A true text book sciatica is defined as a hot burning pain deep in the back of the thigh that may radiate into the calf and foot. This term is often used to classify any radiating leg pain, numbness and tingling by the general public. The sciatic nerve originates from L4-S1 in your spine. This is the lowest part of your back and located in your “tailbone” (which is really called your sacrum). With prolonged sitting, poor posture, driving, bending at the waist, or repetitive motions like golfing or getting laundry out of the washer, can cause this condition. The good news is that sciatica typically responds very well to chiropractic care. By correcting the subluxations, or misalign ments, of the lower spine and pelvis the pressure on this nerve decreases. A good trick for those individuals that carry a wallet in their back pocket is to avoid sitting until you have taken the wallet out and placed it somewhere else. 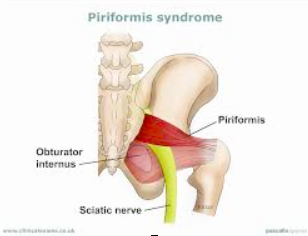 Sitting on it causes piriformis syndrome, which is the swelling of the piriformis muscle that causes pressure on the sciatic nerve. Numbness and tingling occurs when a nerve has been compressed for a significant amount of time. Typically, a nerve will respond with pain first, then start to develop tingling and numbness, followed by the final stages of atrophy. This occurs in rare conditions when a region of the body is not receiving proper nerve communication. Doctors call this a physiological amputation. A physiological amputation is diagnosed when atrophy settles in to a region. At this point, it is usually time for a surgical consultation. Numbness and tinging can occur anywhere in the body and can be alleviated with chiropractic care. Once the compression of the nerve is removed with a chiropractic adjustment the nerve will start to heal at the rate of one inch per month. The rigorous activity that comes with all sports, whether contact or not, can cause subluxations, or misalignments, in the spine, pelvis, and extremities. 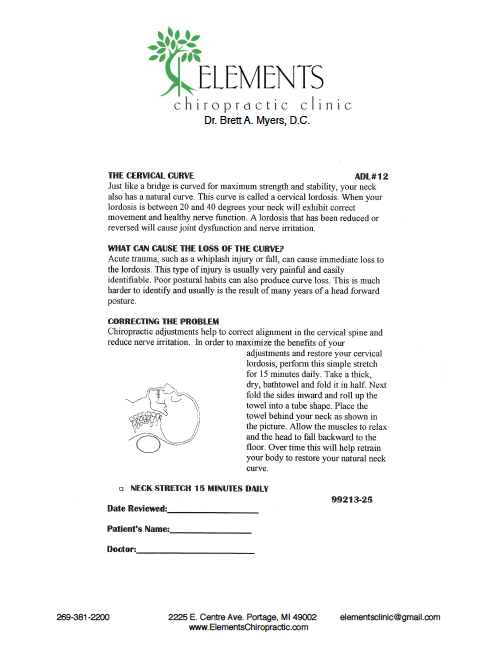 Having these subluxations is like having your car out of alignment. It causes excessive wear and tear and will eventually lead to an injury. This is one of the main reasons why every professional sports team has a chiropractor on staff. To adjust the players after an injury but more importantly to adjust them before an injury and help prevent future problems. If an injury does occur a chiropractor will use electric stimulation therapy, chiropractic adjustments, athletic taping, and therapeutic stretching to correct the injury. The easiest way to explain this is that your body is a machine. You would not expect any machine to run for decades without any maintenance. The human body is just one big complex machine made up of joints, muscles, and nerves, and these are just the musculoskeletal conditions. All of these joints are constantly being taxed when practicing and performing in a sport. If these joints become subluxated, or misaligned, they will not have their full range of motion and will limit the ability of the athlete. Use runners for an example. If you wanted to run as fast as you can would you want your left leg to only move half the distance it was able to? Of course not. You would want to stride as long as possible. If an athlete has a pelvic misalignment this will limit the range of motion of the leg and cause them to be slower. The same is true for throwing sports, lifting sports, skating sports, golf, cheerleading, etc. Muscle spasms can be caused by a strain of the muscle or by an irritation to the nerve or joints around that muscle. If the nerve becomes impinged by a subluxation, or misalignment of the spine, it will cause the muscle to spasm to protect the nerve from further damage. If you strain a muscle with over exertion the pain will typically go away within a day or two. If the pain is recurrent or has not gone away it is most likely caused by a subluxation, joint swelling, or nerve irritation. It is a cause and effect condition. Adjustments can correct the subluxations (cause) and decrease the muscle spasm (effect). Chiropractic care is 100% safe for pregnant patients. It is very common to develop low back pain due to weight gain and stress during pregnancy. 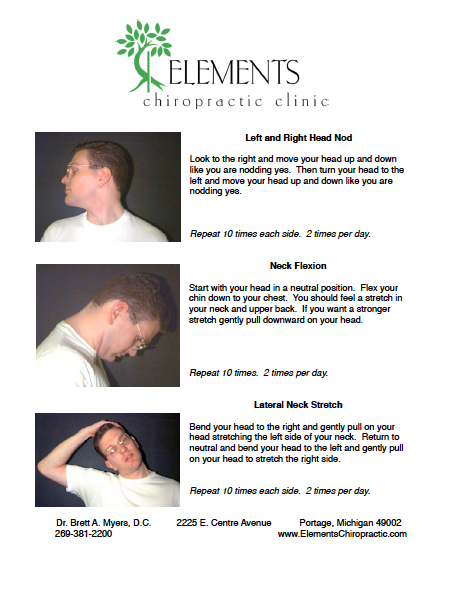 Neck pain, shoulder pain, and leg pain are also very common. Chiropractic adjustments help decrease the pain associated with pregnancy by aligning the pelvis and spine to help control the body changes evenly. Chiropractic can also help make an easier birth by having the pelvis properly aligned. After you have the baby it is very common to develop neck and upper back pain from feeding, holding, carrying and lifting your precious new baby. This repetitive stress will cause your to have muscle tension and pain. Chiropractic care can help with this condition also. Every spine should be adjusted. Starting with the birth process children go through a lot of traumatic events. Learning to walk with the bumps and falls and then playing as they get older can all cause subluxations of their spine. It is important to fix these subluxations as they grow and develop so they do not develop arthritis later in life. Children will experience wear and tear, we just want to make sure we include repair into that equation. Scoliosis is a big part of care for children, especially females between the ages of 12-20. This is the age when scoliosis develops and advances the most. It is critical that it is maintained and stabilized during this period while their spine and muscles are still developing into adulthood. Chiropractic adjustments will help decrease the lateral curvature and stabilize the scoliosis, in addition to performing some simple home exercises for strengthening. Stress and trauma are the two most common causes of spinal injuries. Poor posture, extended computer/phone time, prolonged driving, repetitive motions, over reaching, bending, and lifting can all cause subluxations, or misalignments, and muscle spasms. Besides the physical stresses of everyday life there are the emotional stresses that all of us experience. Both of these forms of stress can cause you to develop back and neck pain. Chiropractic adjustments can correct the subluxations and muscle spasms caused by the stress from our daily lives. This is the traditional chiropractic adjustment or manipulation. The treatment is performed with the doctor’s hands and involves a gentle thrusting motion that pushes the vertebra back into proper alignment, thereby decreasing nerve pressure, joint swelling and pain. A cavitation, or crack, may hurt when the doctor performs this procedure, but it is typically pain free. This treatment typically takes 10-15 minutes. This type of adjustment is performed with a spring loaded adjusting tool. The doctor uses the instrument to deliver a gentle tap pushing the bone into proper alignment. This technique works because it uses more speed than force as compared to the traditional manual adjustment. It is also well suited for children, elderly, extremities, or patients that do not like manual adjustments. Both are equally as effective at eliminating subluxations, or misalignments of the spine. This treatment typically takes 10-15 minutes. This is a passive therapy that has a vibrating roller that rolls up and down your back to decrease muscle spasm and help speed up the healing process. Most patients liken it to a massage bed or hydromassage table. Cervical intersegmental traction is a passive treatment that provides decompression to the cervical spine to reduce disc herniations, decrease headaches, help drain sinuses, and decrease arm pain, tingling, and numbness. This treatment typically takes 10 minutes. Electric stimulation therapy is used to decrease muscle spasms and help block pain. This treatment delivers a very mild electric impulse into the body that feels like a tingling sensation. Combined with heat therapy this treatment feels more like a day at the spa than at the doctor’s office. This treatment typically takes 10 minutes. This treatment helps restore proper range of motion to a specific muscle group. By using doctor assisted stretching patients often see a reduced recovery time. 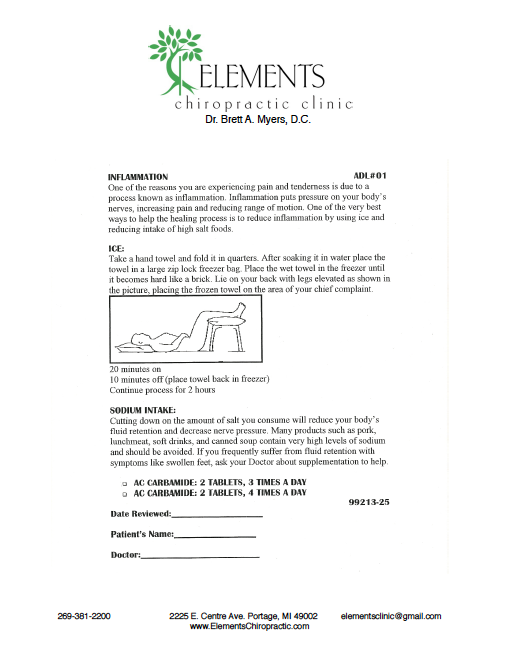 This passive procedure is performed by Dr. Myers with his patients and is included in his treatment.